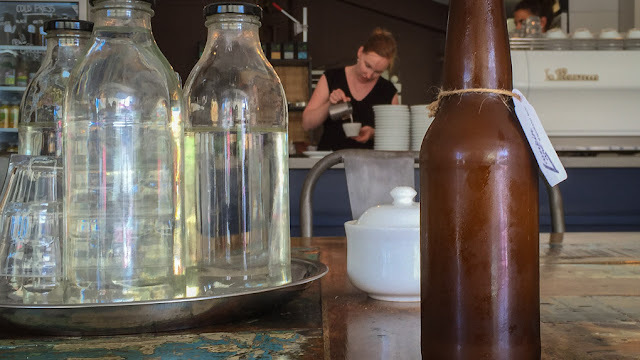 Back in Lamkin Lane at the Espresso Bar, the contents of that frosty bottle are the perfect pick-me-up on a hot day. Cold-pressed coffee lovingly dripped as nature intended, using only gravity and entirely without heat, through a series of glass contraptions no doubt stolen from one of Jule's Verne's daydreams before being mixed with fresh full-cream milk (from actual cows) then sealed with a proper bottle cap and lovingly refrigerated. Sipped straight from the bottle, if you are in the northern hemisphere and nestled under your snow blanket, it's probably hard to imagine right now, but take my word from it, it's PERFECT on a summer's afternoon! This is one of scores of daily photo blog posts centred around the theme "View from a Coffee House" to see many others, please visit this link. 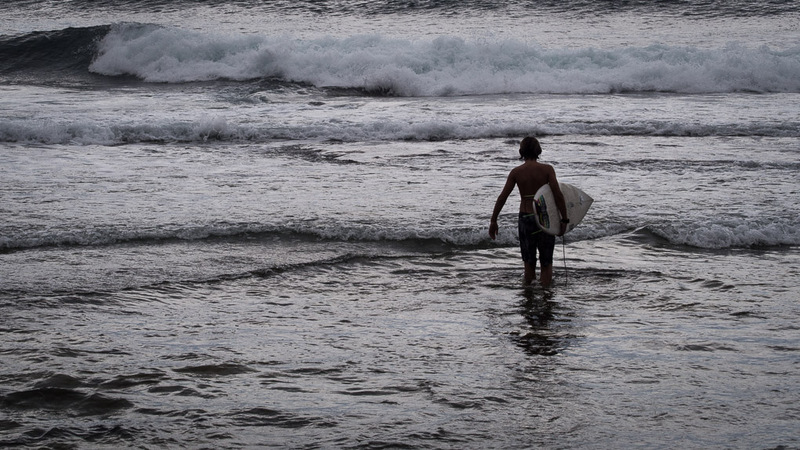 Love your photograph and your prose, I felt transported to an entirely different place. It sure is a different approach to coffee, Peter. Your narrative is very appealing. I love the shot of the woman in the background. Great shot with a strong foreground and the bar tender in the background. I'm sorry I don't drink beer, don't like it, but I can take your word for the joy of having one at this place in summer. I'm jealous as you can imagine - even though the sea in the background would have done it even better for me! Really interesting and such a nice shot too.